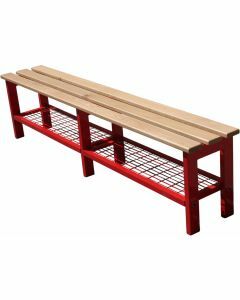 Single width bench seating is available with shoe tray or footbar and with timber or solid grade laminate slats. Price shown is per linear metre, INCLUDING installation by Continental Sports in-house installation engineers. Wall batten with coat hooks. 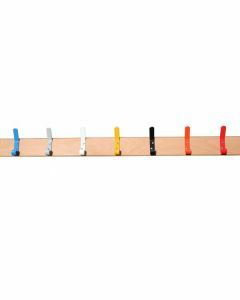 Available in 3-types: 100% steel, lacquered white beech or solid grade laminate, both with powder coated steel hooks. Price is per linear metre INCLUDING installation by Continental's in house installation engineers. 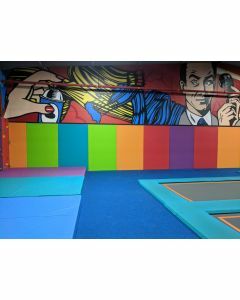 Bespoke matting for any purpose. Huge range of colours, materials and performances. 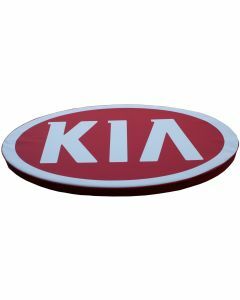 Made to suit your requirements and usage. Full colour digital printing service available. 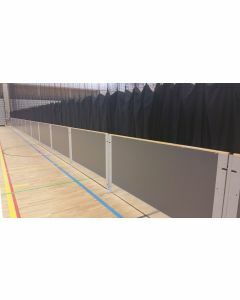 Wall cladding to Sports Hall internal walls. 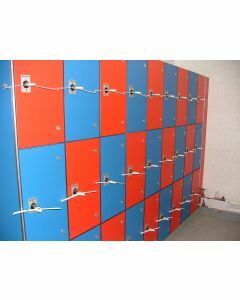 Fabric cladding designed to cover external metal cladding sheets and rails available in a range of colours. 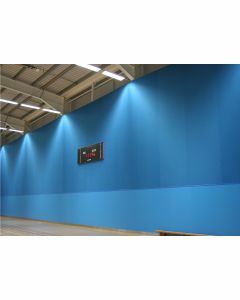 Provides an attractive wall finish and stops shuttlecocks and dust build up resting on cladding rails.